Sophistication merges with elegant lines and classic shapes in the Inglewood II Collection. 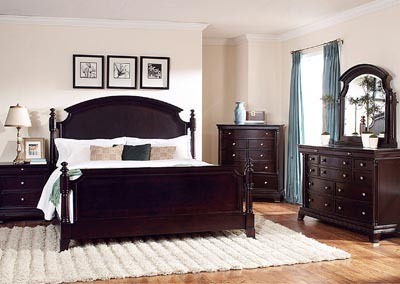 The boldly designed lines of the traditional breakfront posts of the panel bed lend an air of casual elegance. Wood and metal drawer pulls accent the traditional case pieces. 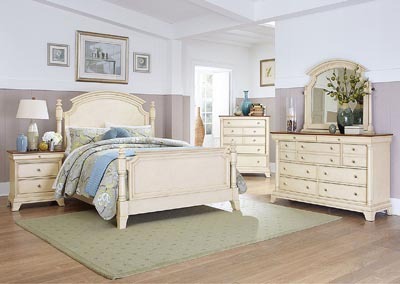 Inglewood II Collection is presented in an antique white finish with cherry finish case goods’ top.